The Castle is under the protection of the Clan Mackenzie Charitable Trust, the CMCT, a registered charity. We need £962,000 for the external repairs to this historic grade A- listed building which is of national and international importance. 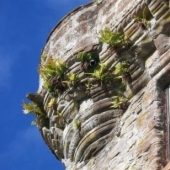 Our eventual goal is a total of £2,174,000 to complete restoration to both the external and internal fabric of the building, work that started in 1991, work that will save the castle and its landscape for future generations. Castle Leod was re-roofed in 1991 after the roofed failed, this had allowed water to damage the upper floors of the old tower. The roof was successfully repaired and since then we have managed to maintain the status quo but have not managed to fully move forward with the next stages of restoration. The next stage is to continue with the restoration work , with the ultimate aim of creating a visitor centre, a community led educational facility and restoration of the upper floors of the old tower. These re-furbished rooms would not just be display rooms , they would be available to hire out to groups and individuals who would like to stay in the Castle. When completed this scheme will give the Castle an income that will secure its future and also keep it aired and fired. An empty building has no future! 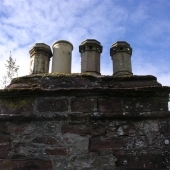 At present Castle Leod and its grounds are open to the public for 25 days a year. 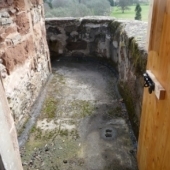 There is access to the first and ground floors of the tower. These were undamaged by water ingress and consist principally of a dining room, billiard room, drawing room, bedroom, old kitchen and dungeon areas. These public rooms have the intimacy and charm of a family home. The rooms are also the venue for small scale public events and weddings. Our aim is to create a community led visitor centre and educational facility which will also include a living apartment. We plan to open on a regular basis and employ staff to manage and oversee the centre and it’s facilities. The new rooms and accomodation space will allow scope for many more events, weddings, conferences, talks, educational events, concerts, exhibitions,etc. This is the best way forward for the future of the Castle. We also aim to encourage more public access and enjoyment of the beautiful grounds and Castle environs, with an improved and upgraded nature trail through the policies and specimen trees. 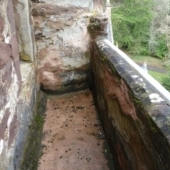 This second stage of the Castle Leod restoration work will be completed in two phases: The first phase is to stabilise the exterior of the building, stonework, chimney heads, battlements, windows and doors. 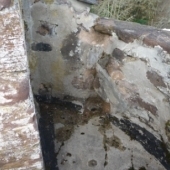 We need to stop water ingress through skews, stonework, leaky battlements, etc. The second phase will be to fit out the visitor centre and apartment. This will include everything from major interior fabric repairs, electrics and plumbing to designing and fitting out the new interior and educational facility. There is great scope for public involvement at every stage, from assisting with supervised restoration work, landscaping and paths, to organising events and activities and volunteering to help with open days. We need your help and ideas to make it all possible. Castle Leod is a grand old lady, a landmark worthy of saving and will become a great asset and attraction for the local community and the local economy when restored. 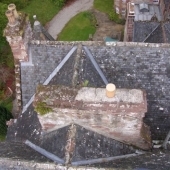 The Clan Mackenzie Charitable Trust is a buildings trust set up to work for and oversee the restoration project .